Great Location, Oceanfront Pool and Steps from the Beach! Property 1: Great Location, Oceanfront Pool and Steps from the Beach! Newly Renovated Kitchen and Bathroom! Property 2: Newly Renovated Kitchen and Bathroom! UPDATED Oceanfront Condo with Awesome Views - Best View at Ocean Cove! Property 5: UPDATED Oceanfront Condo with Awesome Views - Best View at Ocean Cove! Wonderful condo at the center of Ocean Isle! Close to everything! Property 7: Wonderful condo at the center of Ocean Isle! Close to everything! BEST BANG FOR THE BUCK!! Biking, Kayak, Windsurfing Rentals across the street!! Property 8: BEST BANG FOR THE BUCK!! Biking, Kayak, Windsurfing Rentals across the street!! Ground level with handicapped parking and free WiFi. The place to be any season. Property 11: Ground level with handicapped parking and free WiFi. The place to be any season. Perfect Waterfront Location in Ocean Isle Beach! Property 13: Perfect Waterfront Location in Ocean Isle Beach! Ground-level 3 BR condo beside pool. Golf, Pool, Tennis, and Family Fun. Property 15: Ground-level 3 BR condo beside pool. Golf, Pool, Tennis, and Family Fun. Greet the Dolphins in Our Serene Ocean View Holden Beach Condo - Pool Too! 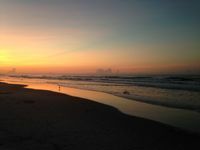 Property 19: Greet the Dolphins in Our Serene Ocean View Holden Beach Condo - Pool Too! ***Cancellation Special*** April 21 to 23 *** Have a quick break!! Property 22: ***Cancellation Special*** April 21 to 23 *** Have a quick break!! Beautiful Oceanfront Condo offers 2 bedrooms & 2 baths in a Fantastic East End Location! Property 24: Beautiful Oceanfront Condo offers 2 bedrooms & 2 baths in a Fantastic East End Location! SUNSET BEACH Golf/Beach - RENTING FOR 2019! Property 25: SUNSET BEACH Golf/Beach - RENTING FOR 2019! Wonderful, Relaxing, Family Destination! 🏄🏼🌊⛵️⛱ 4BR/4BA condo in OIB! Property 26: Wonderful, Relaxing, Family Destination! 🏄🏼🌊⛵️⛱ 4BR/4BA condo in OIB! Spacious, First Floor Corner Unit, brings outdoors in w/ magnificent pond view! Property 30: Spacious, First Floor Corner Unit, brings outdoors in w/ magnificent pond view! Ocean Front, Newly Updated 3 Bedroom with Pool! Property 33: Ocean Front, Newly Updated 3 Bedroom with Pool! "The Turtle House" is a Bright and well appointed Ocean Front Home, 3 bedrooms & 3 baths with magnificent Ocean, Marsh and Intracoastal Waterway views! 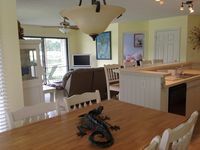 Property 38: "The Turtle House" is a Bright and well appointed Ocean Front Home, 3 bedrooms & 3 baths with magnificent Ocean, Marsh and Intracoastal Waterway views! Property 41: Steps From The Beach! Perfect Summer Vacation Rental - Just 50 Ft. from the Beach! Property 42: Perfect Summer Vacation Rental - Just 50 Ft. from the Beach! I so loved staying at Mr. McCoy&rsquo;s Beach condo. The condo was clean and beautiful! The view of the golf course/pond was amazing. We will be coming back. Great place. Pools were great for kids. Beach was a short 5 minute drive. Would stay again!